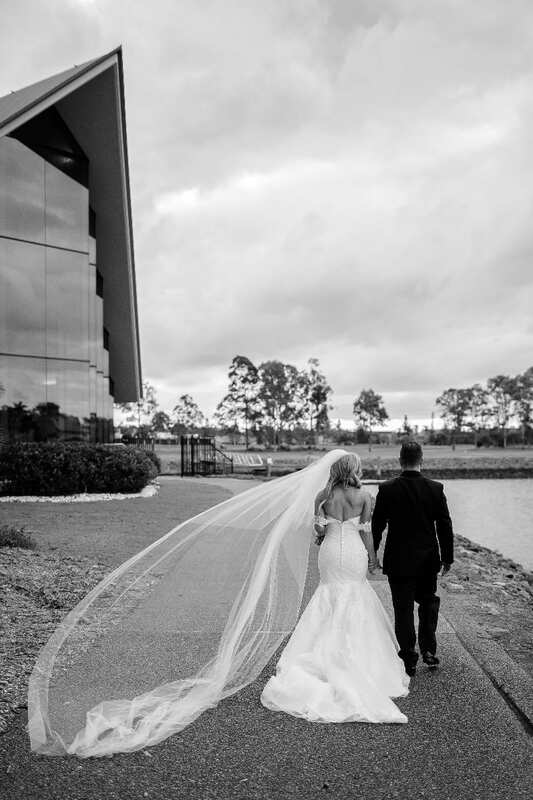 Bec and Callum dated for ten years before they got married, but it was clear from the first time they met that they were made for each other. 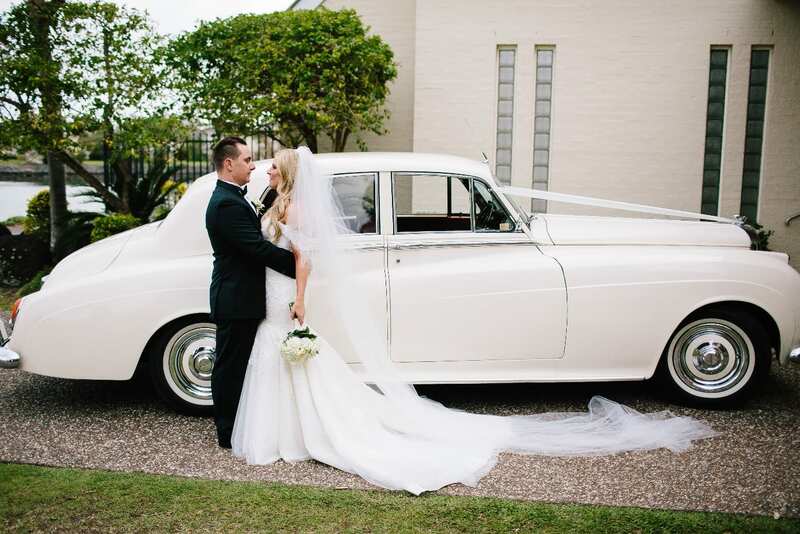 A breakfast date turned into a lunch date and extended into dinner. 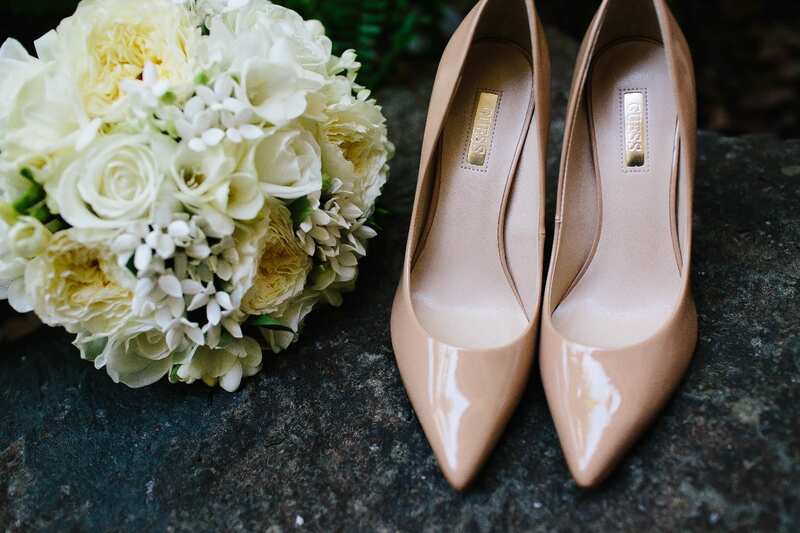 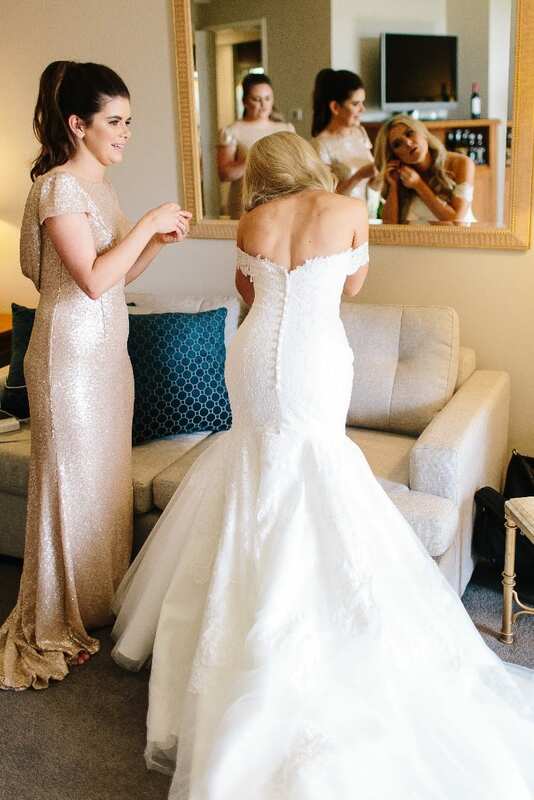 It was simply spending time with each other that they treasured, so after they got engaged at the Gold Coast Hinterland in Queensland, they made an unconventional decision: throw a minimalistic wedding. 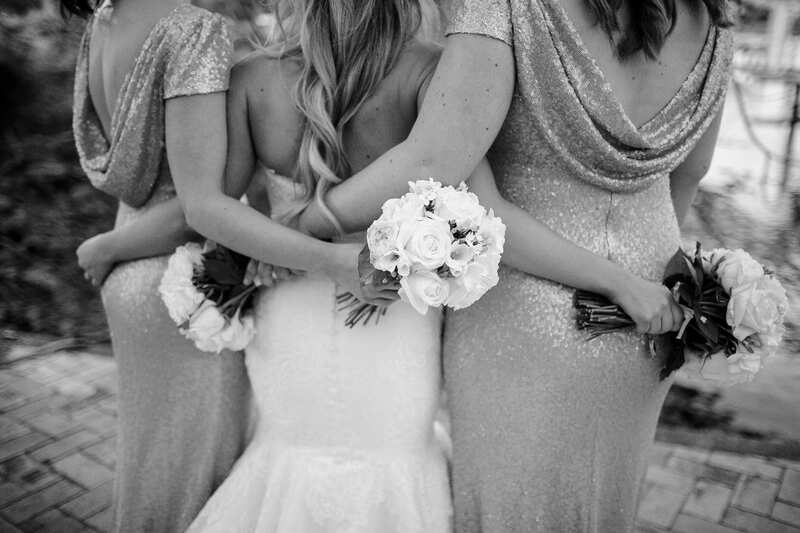 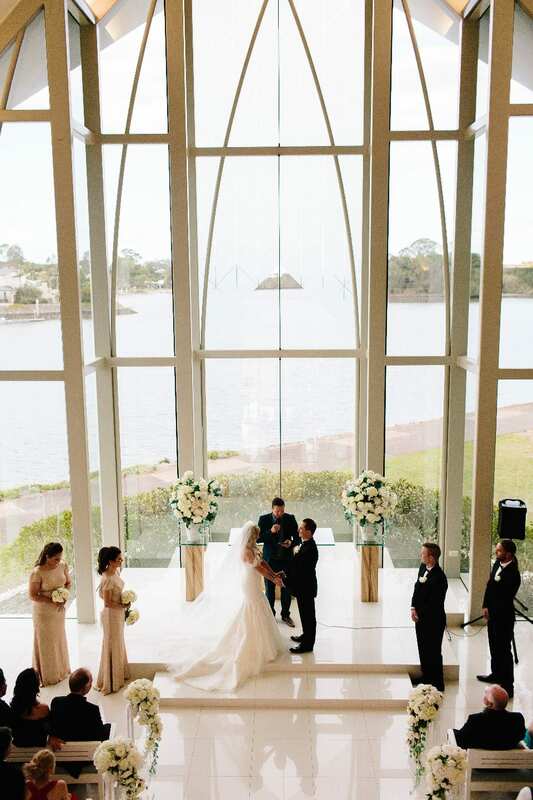 Minimalistic weddings are being becoming increasingly popular, not only as ways to save money, but to focus on the most important things: vows, family and friends, and celebration. 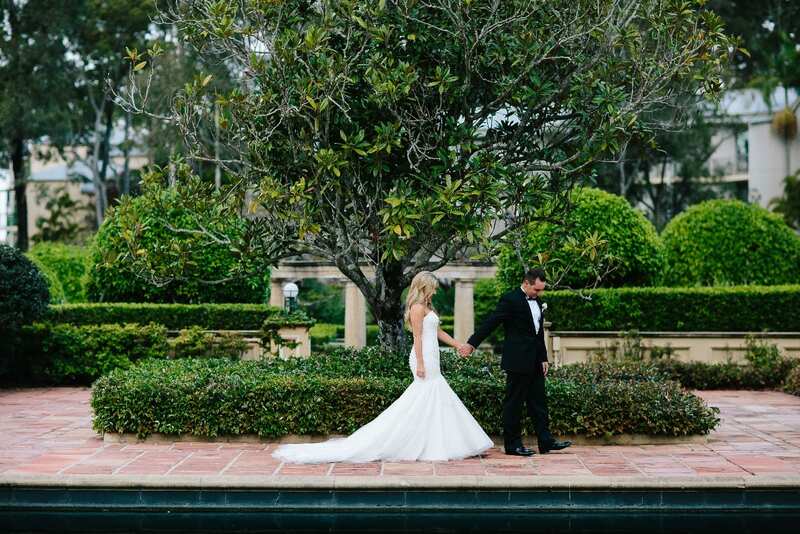 And Bec and Callum proved that minimalist can still be beautiful. 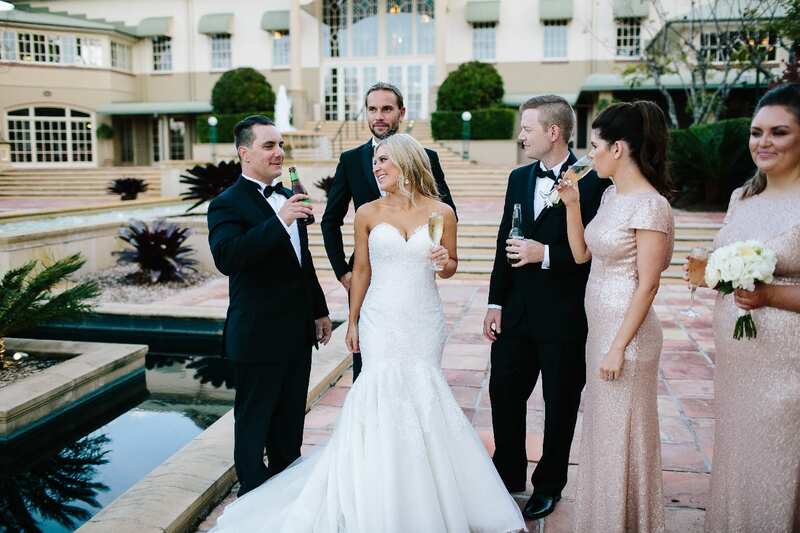 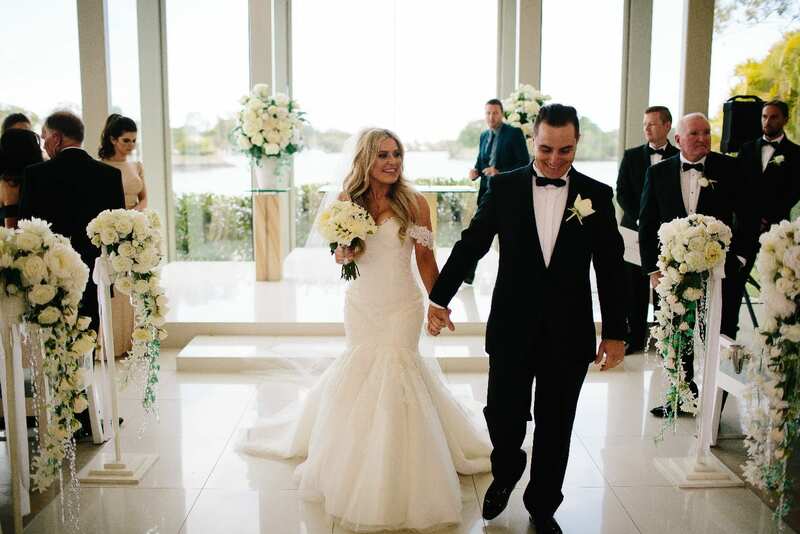 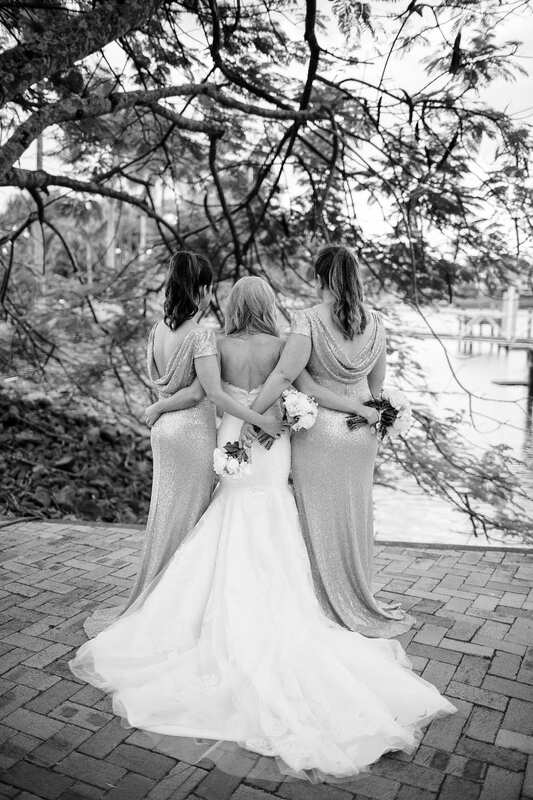 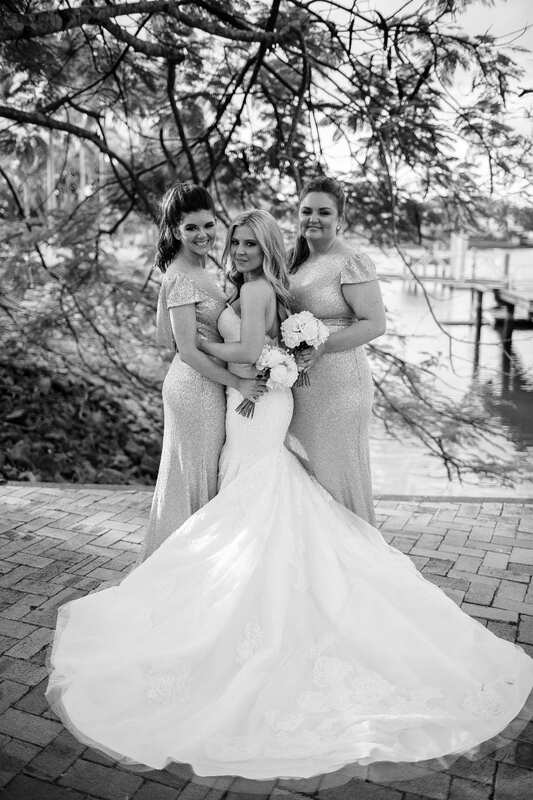 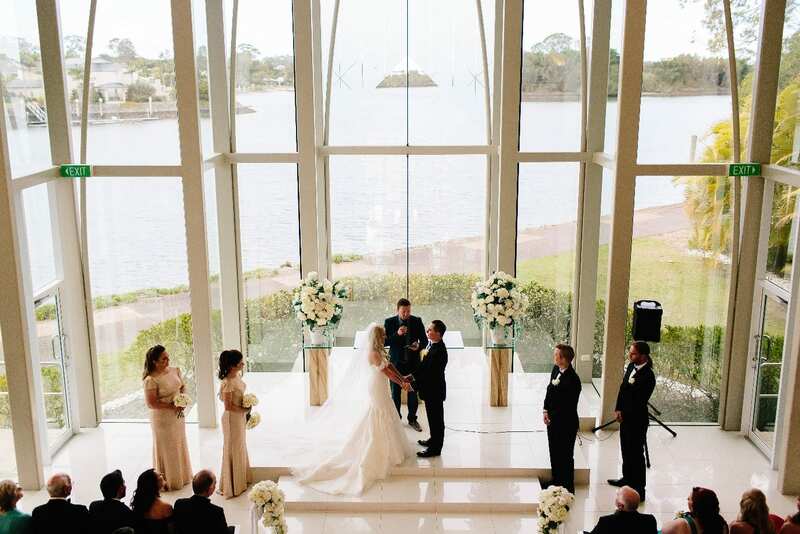 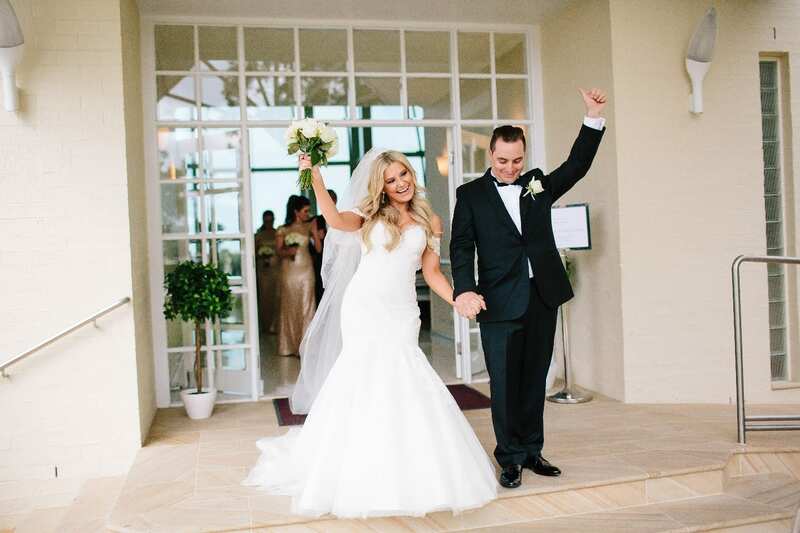 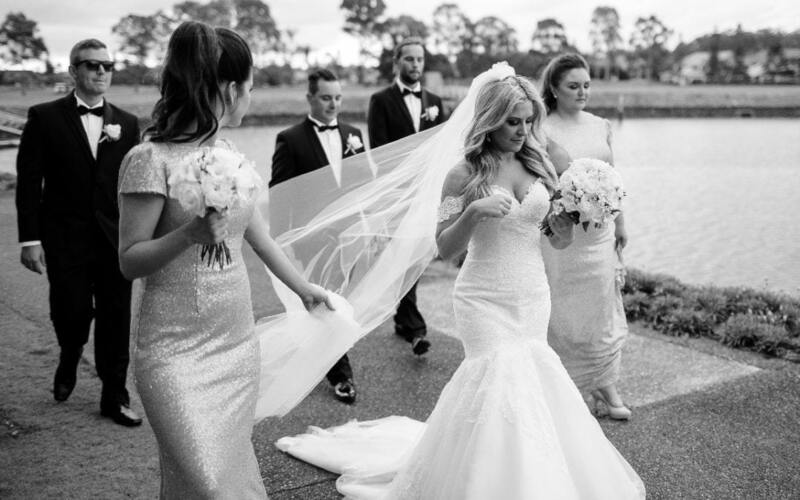 Bec and Callum exchanged vows in a glass chapel at Sanctuary Cove, where natural light hit the bride’s elegant and modern ivory lace mermaid gown with a draped, buttoned back, sweetheart neckline and off the shoulder lace cap sleeves. 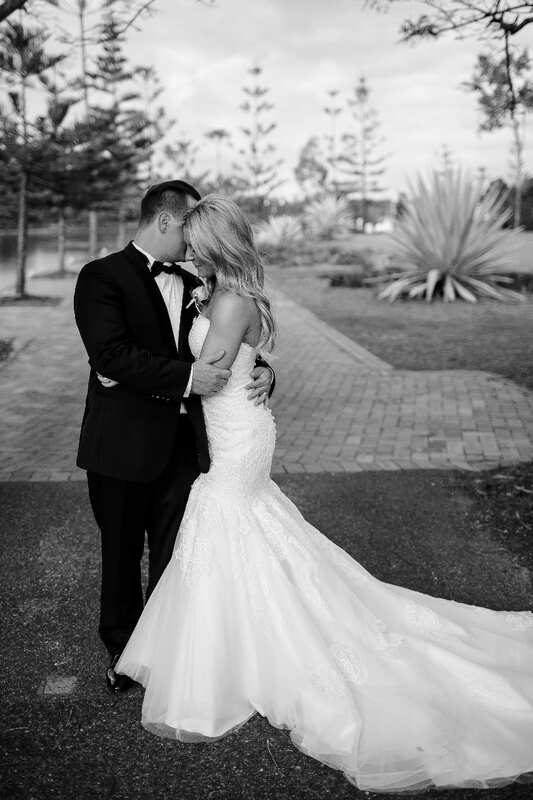 With Callum’s relaxed fit classic black tuxedo and white rose floral bouquets, the ceremony was refined and breathtakingly simple. 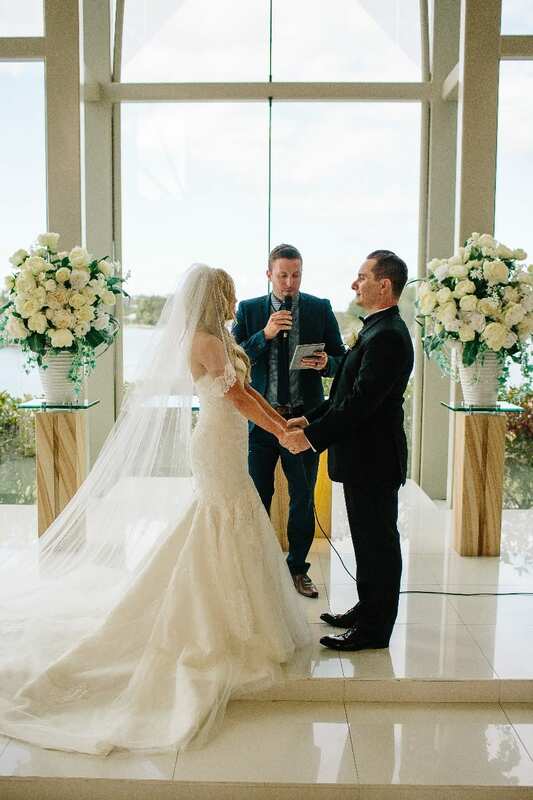 Instead of elaborate decorations, Bec and Callum highlighted the beauty of the reception’s natural wood floors with string lights hanging from the rafters, and classic tablecloths, lending to an understated but unforgettable wedding, beautifully captured by Prue Franzmann Photography.